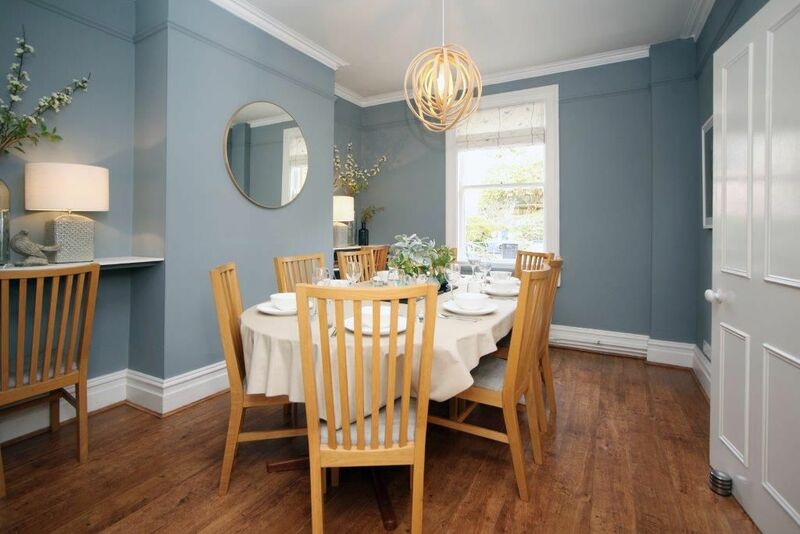 Plan a joyful get together in this spacious Edwardian house for 10 close to the City Centre. There are 5 bedrooms, each with its own bathroom, and separate dining and living rooms so you can spread out and relax, perfect for a gathering of friends or family. 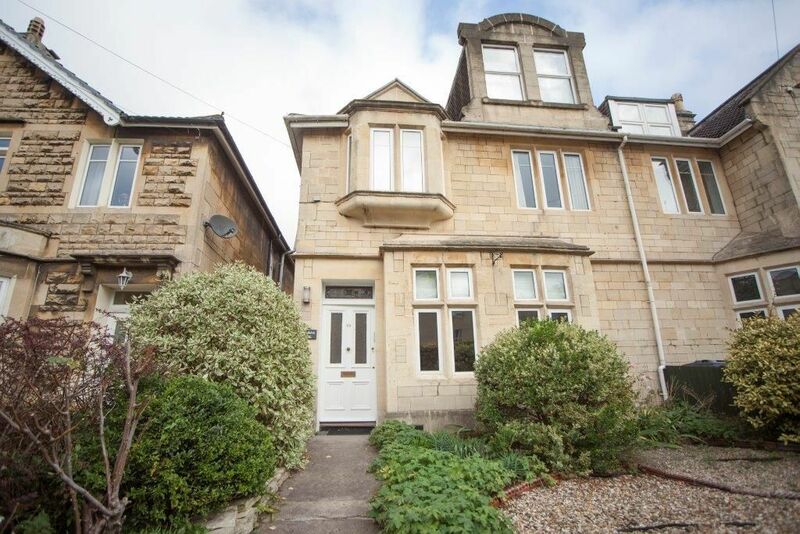 Smart, comfortable and well-equipped with a TV in every bedroom, this large house is a 5 minute level walk to central Bath and has the added bonus of parking for 3 cars at the rear. With historic sites, indulgent shopping, plentiful restaurants and Royal Victoria Park all within strolling distance, it’s perfect for all ages with plenty to see and do nearby, along with calm private spaces to relax after a memorable day of fun for everyone. This impressive Edwardian home has a pretty planted front garden. The large welcoming entrance is great for meeting and greeting, dropping off coats and bags and heading off to explore. 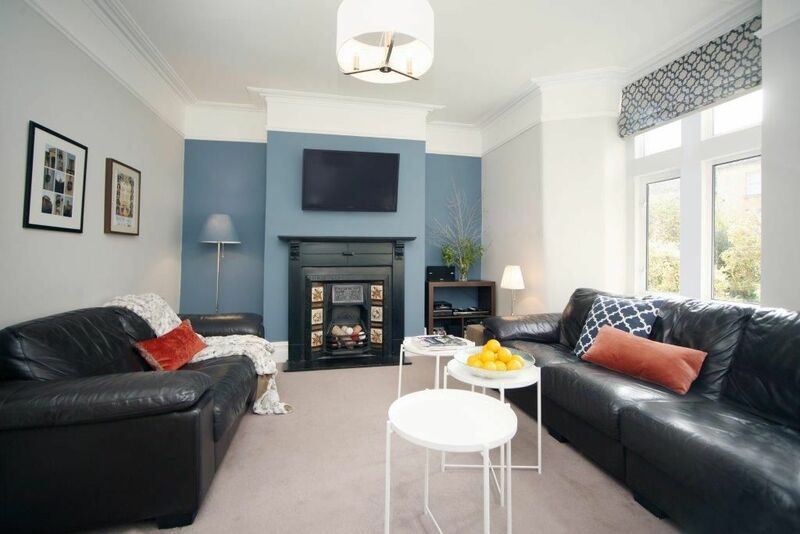 The spacious living room decorated with elegant prints of Bath has an original decorative Victorian fire-place. The contemporary décor welcomes you to sit comfortably on the large 'L' shaped leather sofa to seat 7 and a further double sofa to seat 3. A large wall mounted TV has a DVD connected and there is also an I-pod dock/CD/radio and separate Bluetooth speaker. 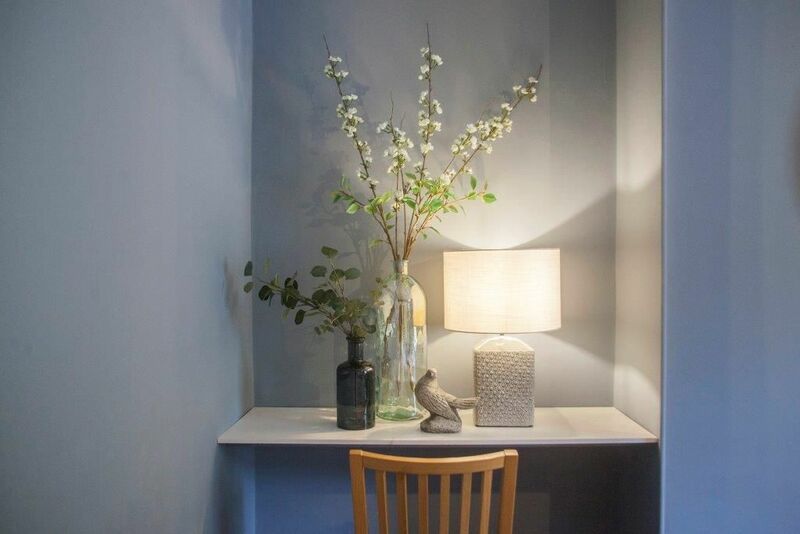 The tranquil and elegant blue dining room seats 10 and faces a courtyard garden to the rear of the property. 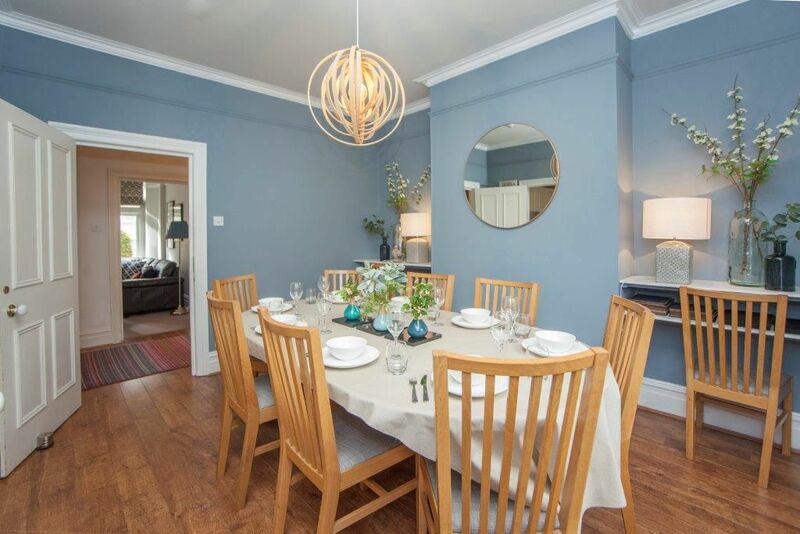 Alongside the dining room is a smart traditional style fitted kitchen which is plentifully equipped for entertaining and has been generously stocked with china and glassware. There is an electric hob, and double oven, microwave, dishwasher and large fridge and separate freezer. Along the corridor is an additional large fridge and separate freezer, useful for big groups. 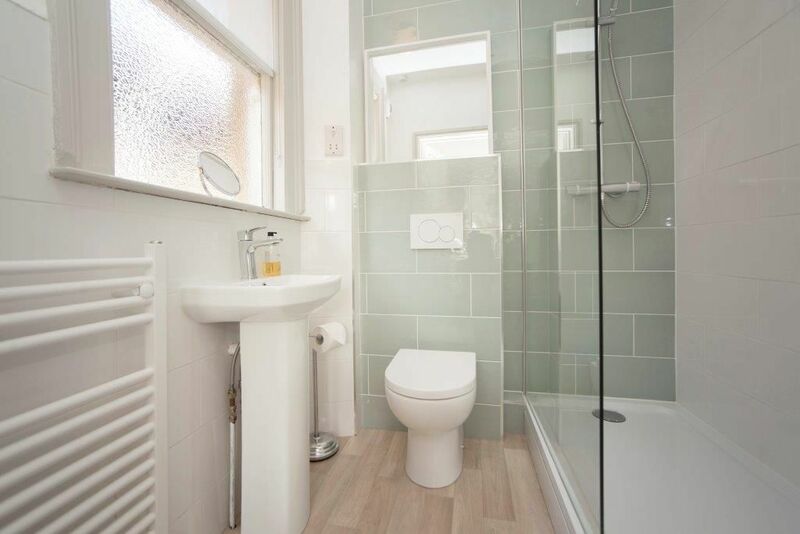 There is a separate cloakroom with WC and hand basin and a utility with a washing machine and dryer. Outside in the little terraced courtyard garden, there is a BBQ, drinks table and 10 chairs for tea or cocktails in the sunshine. 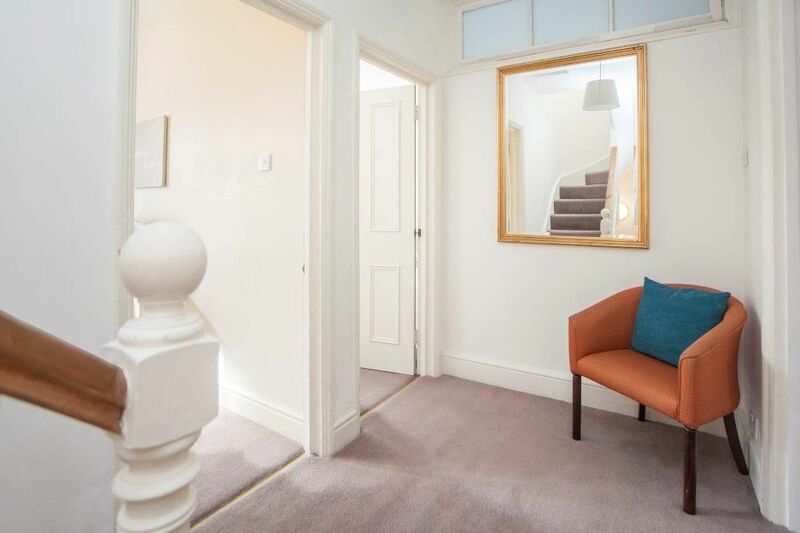 There are three bedrooms and bathrooms on the first floor and a spacious landing with a large mirror and chair, reached by thickly carpeted stairs. 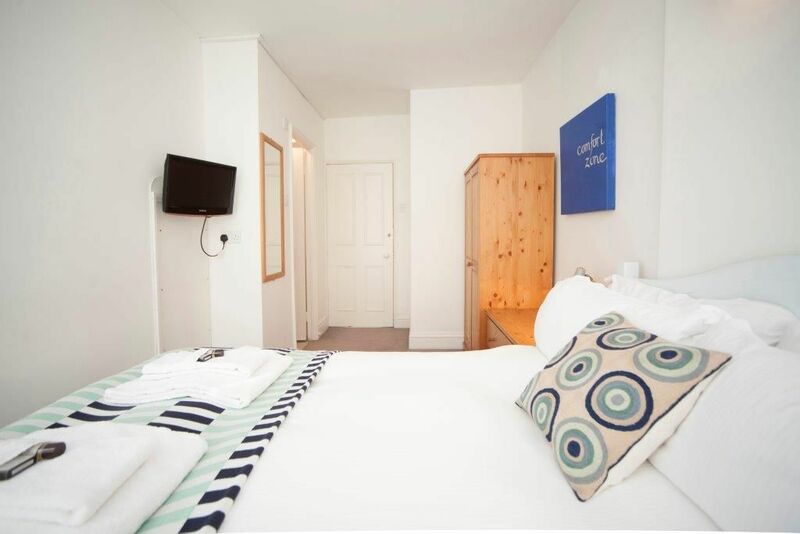 On the first floor is a sunny double room in Scandi style silver grey with a 5’ king size bed. A deep window bay holds a small TV. For storage there are bedside cabinets, a chest of drawers and a small hanging rail. A smart contemporary en-suite has a large walk in shower, with both rainfall and mixer shower, basin and WC. 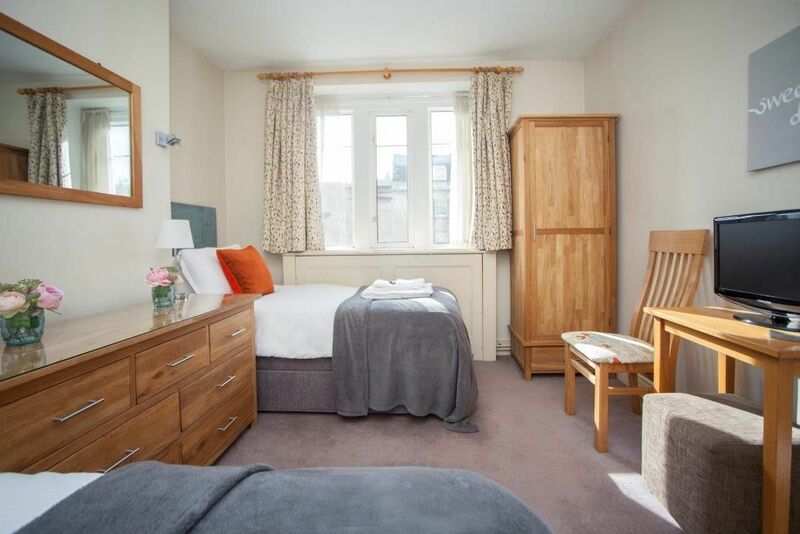 The rear facing cherry and navy twin bedroom has two single 3’ beds with solid oak furniture - a large chest of drawers, wardrobe, an occasional chair and a wall mounted TV. 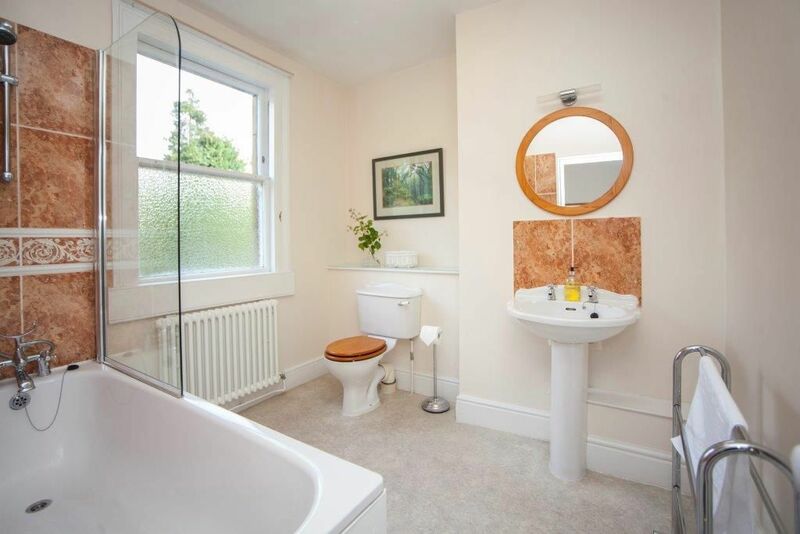 A spacious traditional en-suite bathroom has a bath with shower over, hand basin and WC and plenty of space for dressing. 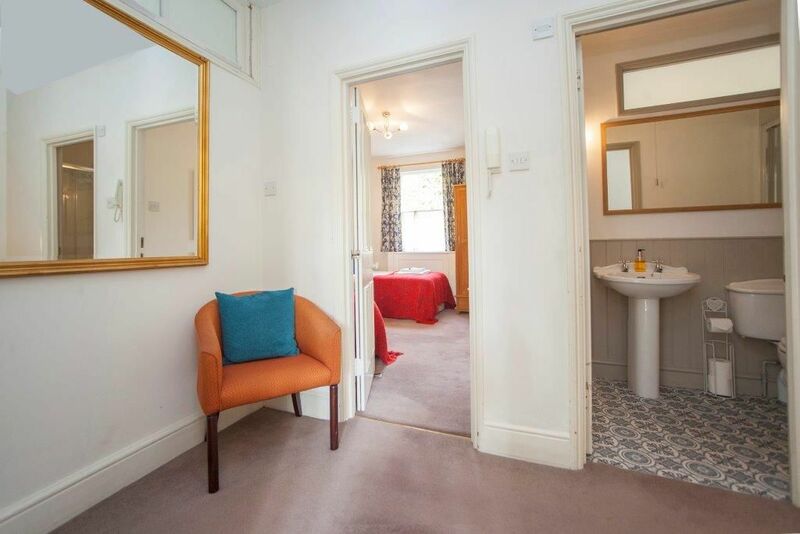 Finally on this floor is a large terracotta and grey twin room with two single 3’ beds, solid oak furniture - a large chest of drawers, a small wardrobe, an occasional chair and a TV on a small table. The bathroom for this bedroom is across the hallway and has decorative flooring, wood panelling with a large shower, hand basin and WC. Going up to the second floor, you find two further en suite bedrooms. 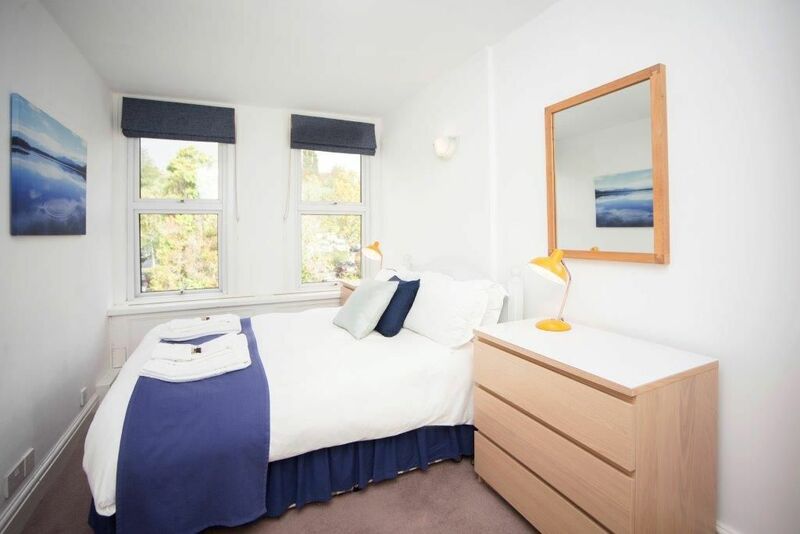 At the front is the extremely sunny green & aqua double room with a 4’6" double bed, a large chest of drawers, large wardrobe and wall mounted TV. 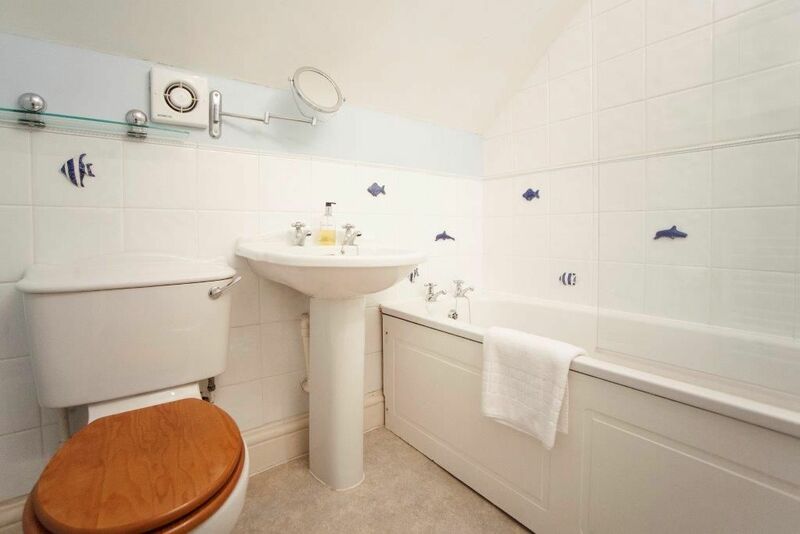 A white en-suite under the eaves has a bath (with shower over), a hand basin and cabinet for toiletries and a WC. The final bedroom is a blue double room with a 4’6’’ double bed, chest of drawers, built in wardrobe and a wall mounted TV. 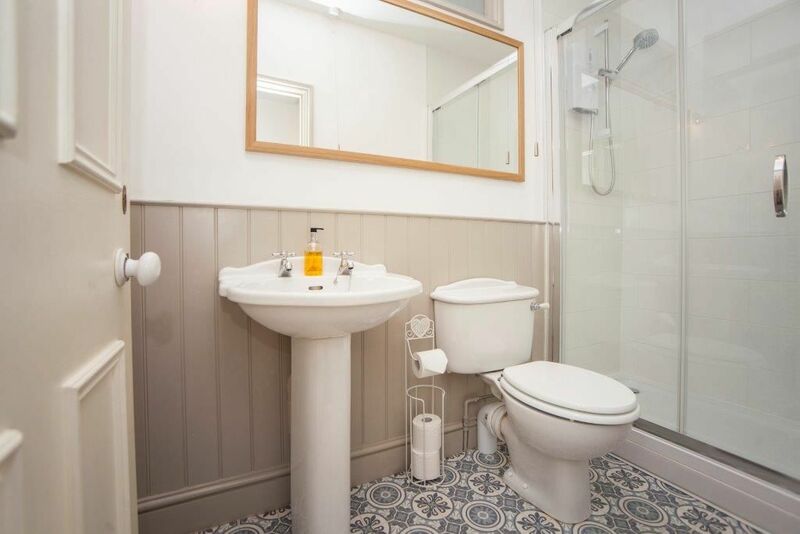 A neat white en-suite under the eaves has a bath (with shower over), a hand basin, a cabinet for toiletries and WC. There is private parking for up to 3 cars at the back of the property and Charlotte street car park next door for additional cars. 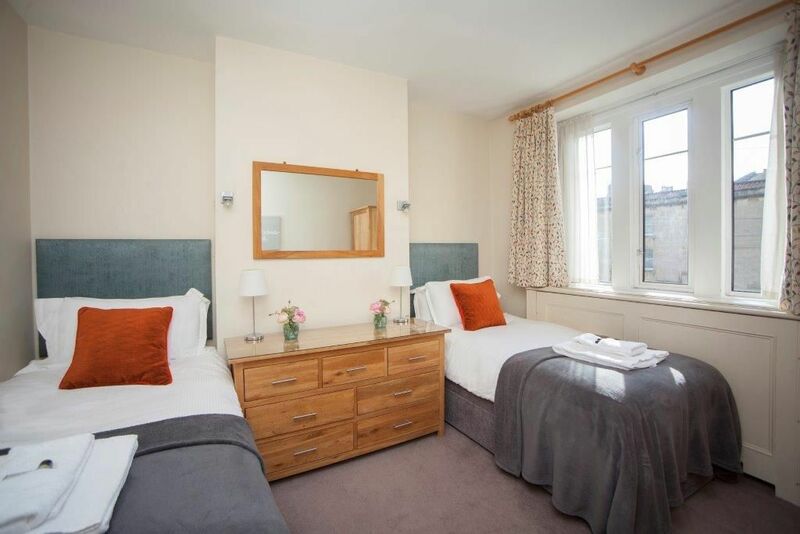 Alternatively the Bath Spa train station or bus station are only a 15 minute walk away. There is something to please everyone and as it is such a handy location, the early risers and the late night owls needn't fret. There is a great choice of shops, cafes, bars, pubs and restaurants nearby, as well as the great historic sites that Bath is renowned for. There are lots of museums and galleries to visit, and a variety of entertainment from the Thermae Spa to Komedia, a comedy nightclub, the Theatre Royal and a couple of cinemas. The Parks are lovely with a huge adventure playground for youngsters at the Royal Victoria Park around the corner as well as crazy golf, indoor tennis courts, the Approach Golf Course with 18 holes and fantastic views and even hot air balloon flights for the thrill seekers. The nearest supermarket is Waitrose or Sainsbury's, only a 5 minute walk away. The house was a perfect place for a family gathering. 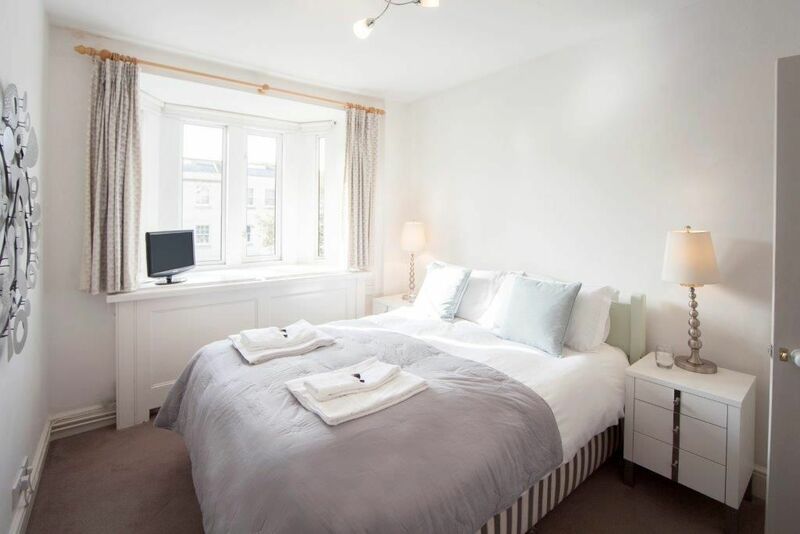 It is well appointed and so central - a short walk away from the heart of Bath. It was useful having 3 parking spaces at the back and the car park for the fourth car was close by. We had a very enjoyable stay. Beautiful home, perfect location and hospitality/check-in/check-out made simple and flexible!! Thank you Sara for being so helpful, we really enjoyed ourselves! 5 star. Lovely property with everything you need for a stay in Bath Visited Bath with children and grandchildren, seven of us in total. Lovely house with all the amenities you need for a very comfortable stay. Lots of space !! 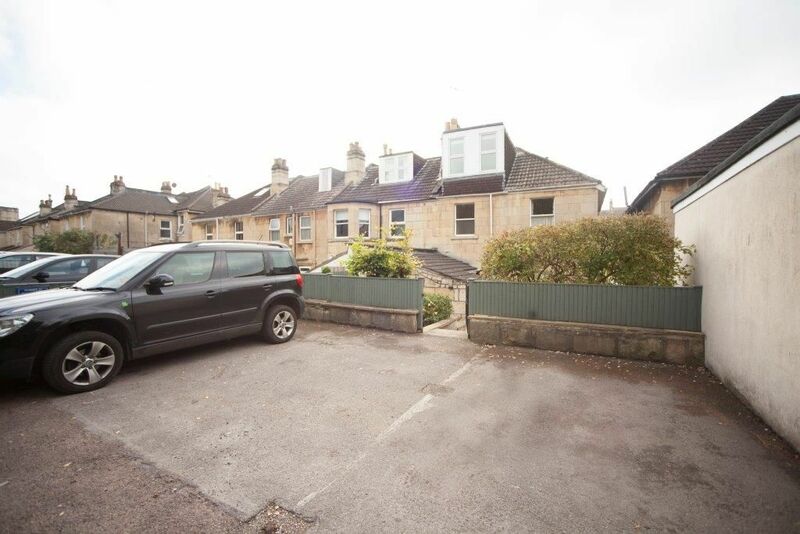 Great base as within a few minutes walk of central Bath and the train station for people who do not want to drive during their stay. Superb park near by and lots for all ages to do. Would certainly recommend a stay in Bath and this property. I stayed here with 8 female friends and we all thought the house was lovely and very well equipped. We cooked 2 meals in and found everything we needed. The dishwasher was very well used. Plenty of glasses and crockery were supplied. Plus a few items were left which we didn't expect - coffee, milk, fruit juice, biscuits and teabags. All rooms were comfortable and obviously it was great that each had their own bathroom (4 ensuite and 1 with a bathroom literally across the landing). The location is ideal and a short walk of 5-10 minutes and you are in the middle of the centre. We can highly recommend a nearby restaurant called Hall and Woodhouse which had an amazing glass roof, roof top terrace and 2 brightly lit staircases which gave the place a real good spacious feeling. The food was delicious although we didn't feel there was the greatest choice of main courses but we all found something really tasty (mostly steak and all were delicious). A perfect place to stay and well recommended. Also the communication with Alexa at Bath Holiday Rentals was efficient and she was always quick to respond to any questions. The house was lovely and very well equipped and everyone who stayed at the house (eight of us) said how nice it was. 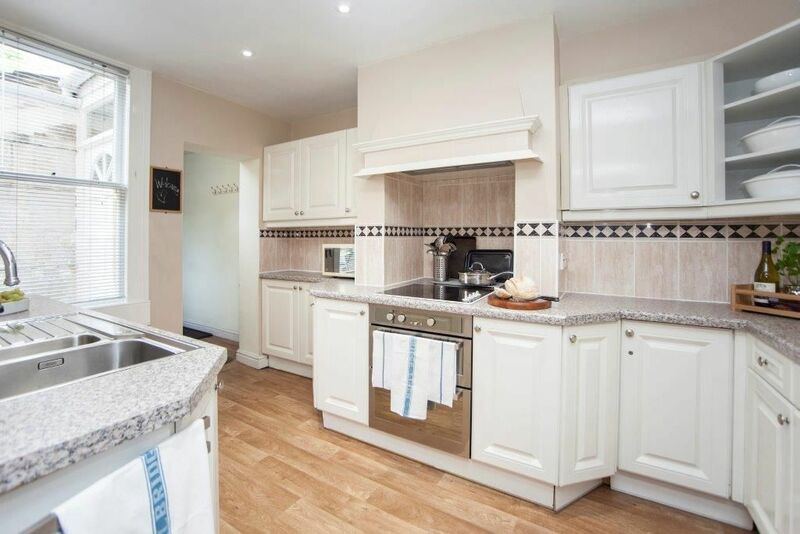 It was ideally located and within walking distance of the centre of town. There was also a local shop nearby for those in the group who on arrival had food shopping to do. The town itself was very interesting. We made the most of our stay by taking the tour bus ride highlighting points of interest, visiting the Roman Baths, the Thermae Bath Spa, Bath Abbey and tower tour, Jane Austen centre, Glass Blowing, Sally Lunn's Historic Eating House and enjoying the town itself. A successful stay enjoyed by everyone. Thank you. Larger house, well appointed and excellent responses from operator House is located very near center of Bath, easy walking distance and plenty of parking with the house. There is also Victoria park nearby with great play area and local pub (we had young children with us). If you have young kids a stroller is essential. We wish to thank you for an outstanding holiday home we rented last week. It was perfect in every way and made our pre Christmas celebrations extremely enjoyable. We shall definitely recommend the house and would certainly consider revisiting ourselves. Thank you very much. We thoroughly enjoyed our stay and were very impressed both by the quality of the property and the services of your company. Amazing house, perfect for our girls weekend away. 5 bedrooms.....5 bathrooms! Perfect location for walking into Bath city centre. Owner was so easy to deal with. Would definitely stay again either with friends or as couples. We had a wonderful week at Marmaduke House. 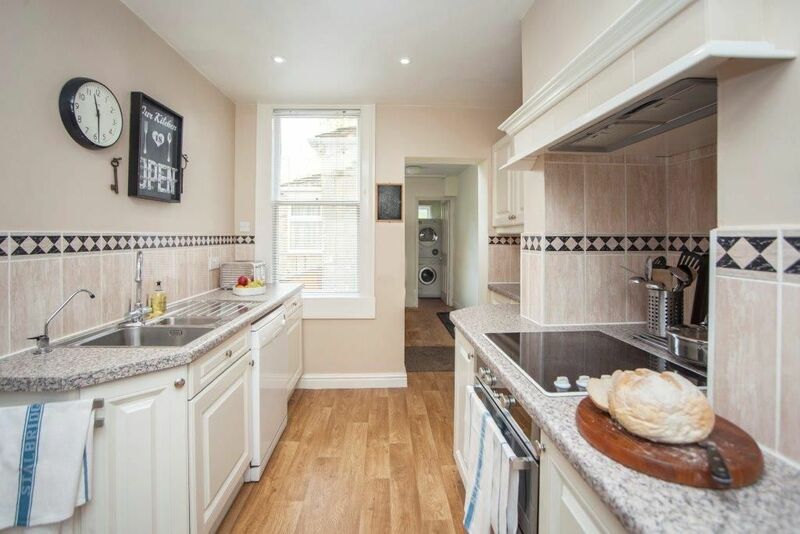 It is in a superb location, within walking distance of all the important and interesting places in Bath. The house was very well equipped and very clean. We really enjoyed the outside seating area, perfect for breakfast and evening relaxing! We were four very happy couples enjoying a week's break!! We had a fantastic and very social time, the house was brilliant and very well equipped and well placed. All ten of us were happy with it and pleased that we could come and go as we pleased, it worked perfectly and couldn't have been a better weekend. Bath is lovely, and we are planning to come back, perhaps not 10 of us all together though! Although we did say that we ought to make a big get together a regular event so you may see us again! Thank you and Olivia for all the help and information. It was much appreciated. As ever, Bath Holiday Rentals were very efficient and made our stay a very smooth and uncomplicated affair. 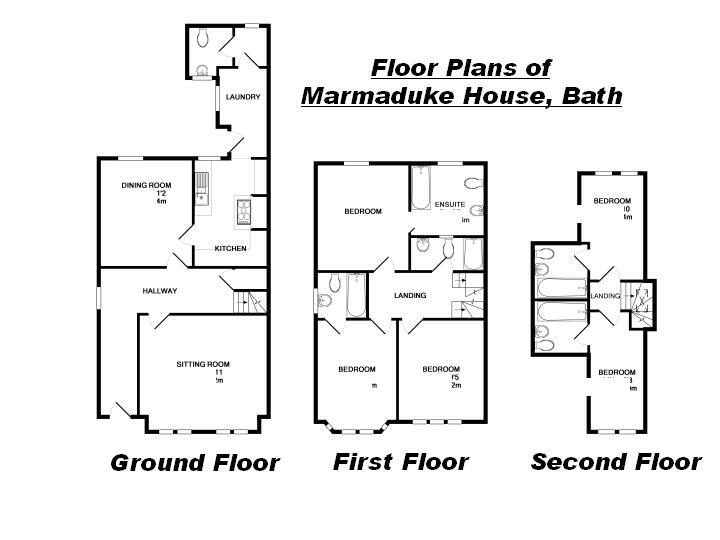 Marmaduke house is great for a group and its near centre location excellent for exploring the delights of Bath. 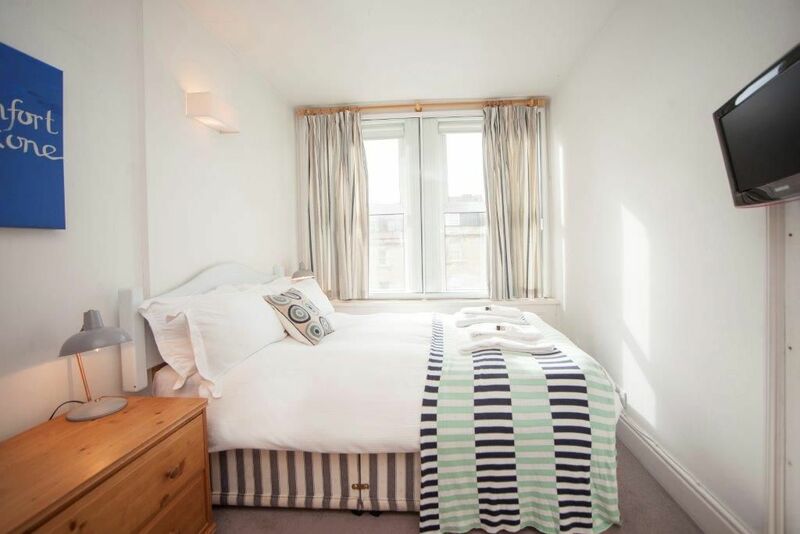 We thoroughly enjoyed our stay at Marmaduke House and would have no hesitation in recommending it and Bath rentals to other visitors to Bath. 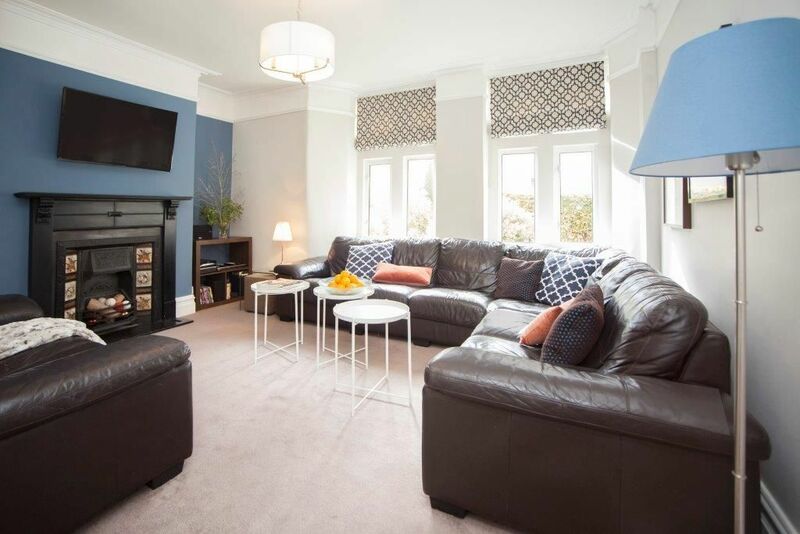 The house was perfect for our family gathering, being fully equipped and providing spacious accommodation. It is well located in walking distance of the centre and close to a number of good restaurants. Brilliant Christmas week spent at Marmaduke House. We didn’t need to use a car at all during the week - the city centre is less than ten minutes’ walk away, Sainsburys is much closer and there are brilliant pubs and restaurants close by. 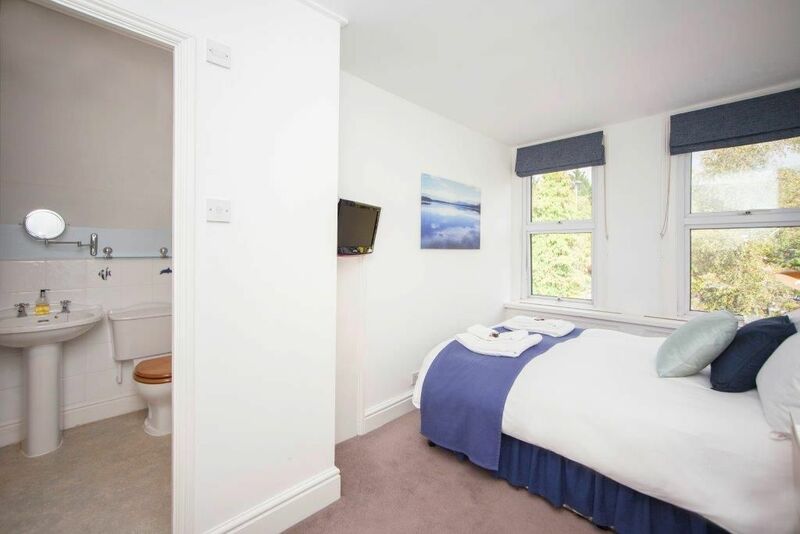 A huge bonus for each bedroom to have its own bathroom. 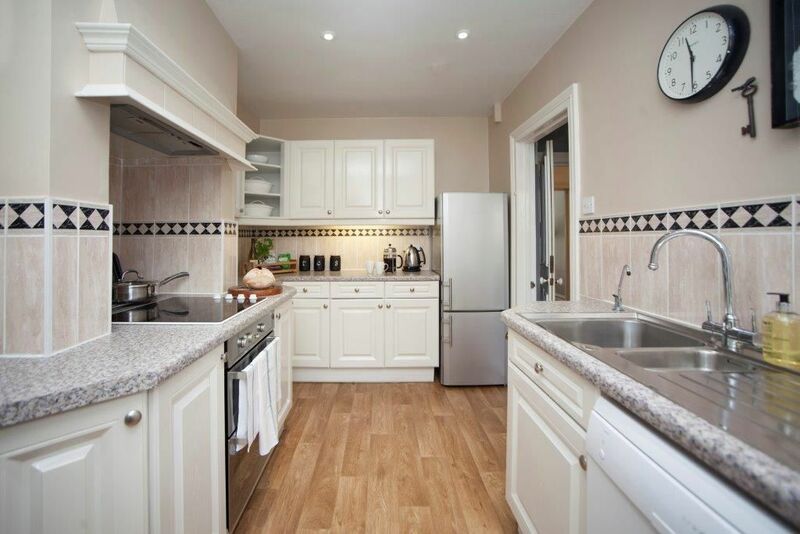 So handy to have two fridges, plus laundry facilities and all kitchen facilities are more than adequate. And three car park spaces so close to Bath City Centre are worth their weight in gold! Big thanks to the staff at Bath Holiday Rentals who bent over backwards to ensure that our stay was comfortable and who were always available to answer any queries. We hope to return! 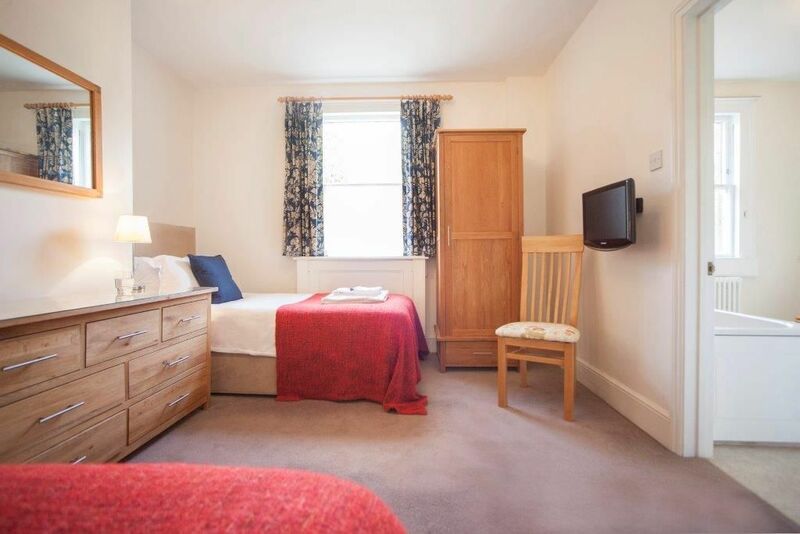 We found Marmaduke House to be like a "home from home", providing everything we needed. As described on the website. Robert was very welcoming and ensured the property was ready and set up for us incl. heat, water, even some food essentials! 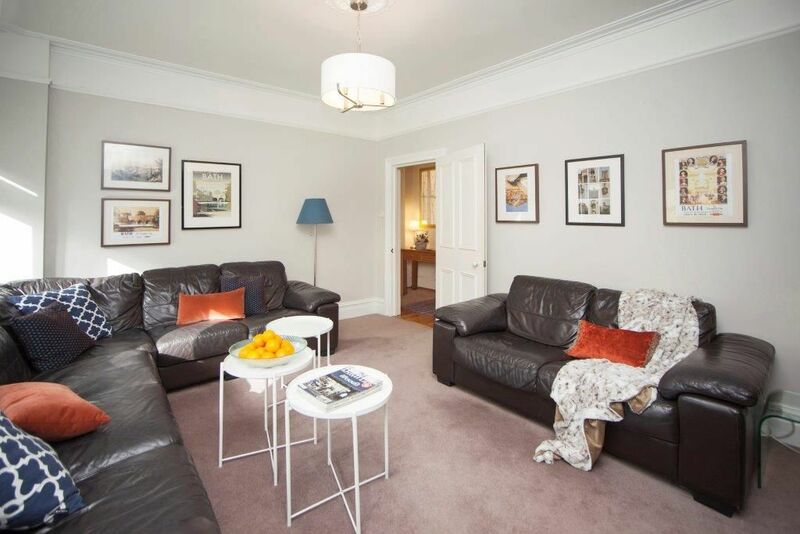 Within easy walking distance of the city centre - another reason why we chose this property. Would stay again. We all thoroughly enjoyed our stay at Marmaduke House at end of September 2015. The house was very clean and welcoming, very well situated,an easy walk into Bath centre, shops,restaurants, local tourist spots and local supermarket. Ample room for the 6 of us for sleeping, eating and relaxing with all the amenities needed for holiday, nice to be able to cook breakfast! Special mention for tourist information and maps left as well as information for workings of appliances! Couple of points would be new and or firmer pillows ( this was comment from all the group) and a washing line up outside in patio area (retractable be good). Otherwise a wonderful stay in a beautiful city and would highly recommend Bath Holiday Rentals! p.s the weather was beautiful too! I will most certainly recommend your Company as you were all so helpful and friendly and your website is so easy to use. As for our accommodation the house was extremely well appointed and the kitchen was the best equipped house we have stayed in. Having the large second fridge is superb (our stay was short so didn't really affect us) but so many properties provide only a small one. Thanks again and am telling anyone who listens about Bath Rentals and the house. 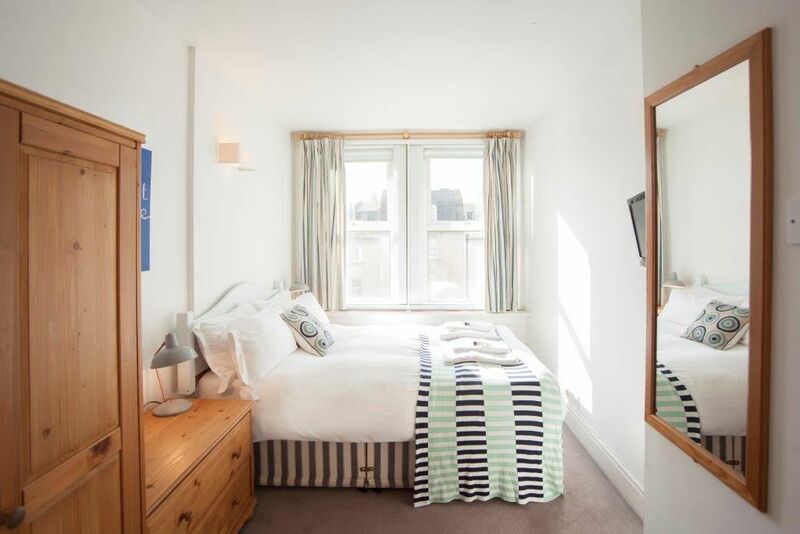 Marmaduke House is an excellent place to stay for exploring Bath. It is within easy walking distance of the main part of the city yet has its own car parking facility at the rear for three medium size cars. You can also easily walk to the Royal Crescent and the Botanical gardens, which we did. The weather was fine so we were out each day, but there were books, dvds and other facilities in the house should it have been raining. The wifi was used by many of us and greatly appreciated. It has all the facilities needed for a self-catering stay in Bath and we particularly appreciated the personal touch of a hamper waiting for us on arrival. We can thoroughly recommend it to others. We appreciated your personal touches to our stay. Thank you. very generously, we had complimentary tea, coffee, sugar, a bottle of wine, cookies jam and chocolate waiting for us when we arrived. 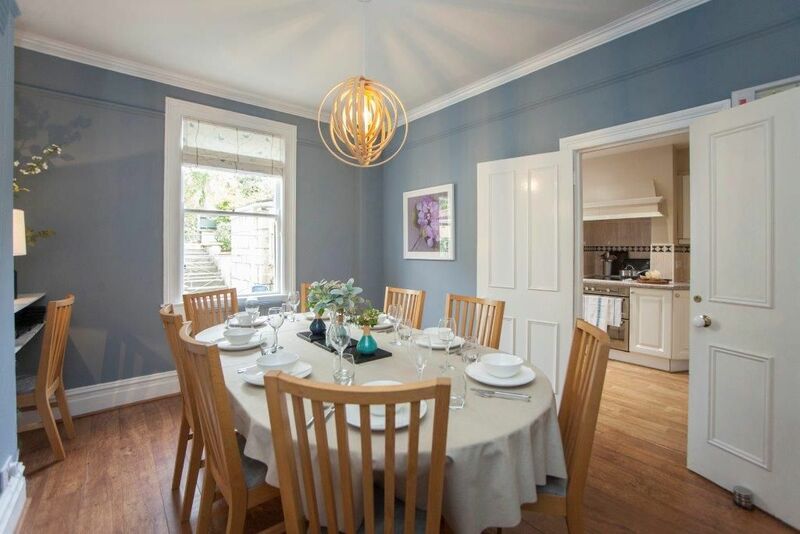 Great weekend in Bath, and great house - 5 bedrooms and 5 bathrooms so ideal for 5 couples not wanting to share. 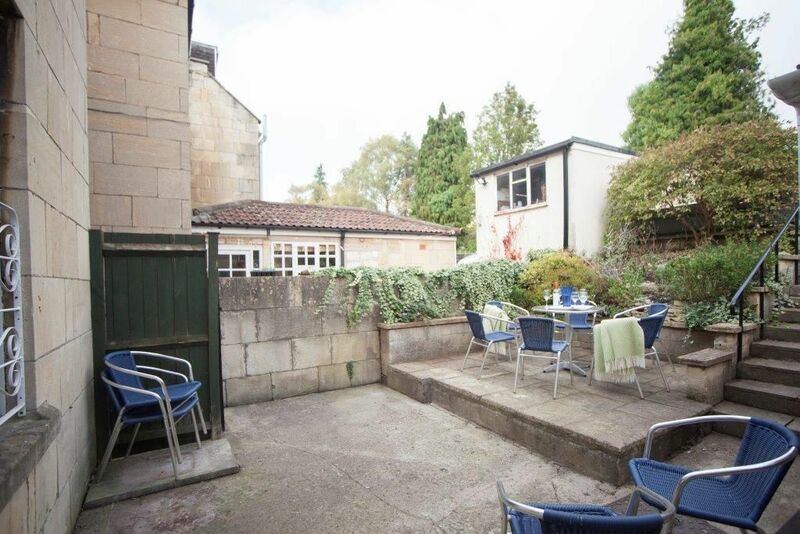 Parking for 3 cars, and only a few minutes walk from the centre of Bath so excellent location. Small outside terraced garden, so were able to sit out and have a few proseccos in the sunshine. Kitchen really well equipped, and beds/furniture comfortable, plenty of hot water, and towels provided. Only slight criticism is that the upstairs really needs a bit of modernising as the bedrooms/bathrooms were a little dated and tired, along with the hallways and stairways, but kitchen, dining room and lounge all good. The house was in a perfect location with amble space and parking for our requirements. Olivia was lovely to meet on arrival and we are all looking forward to visiting bath again!! From the initial enquiry with Alexa at Bath Holiday Rentals to Ray who greeted us on arrival everything was PERFECT!. 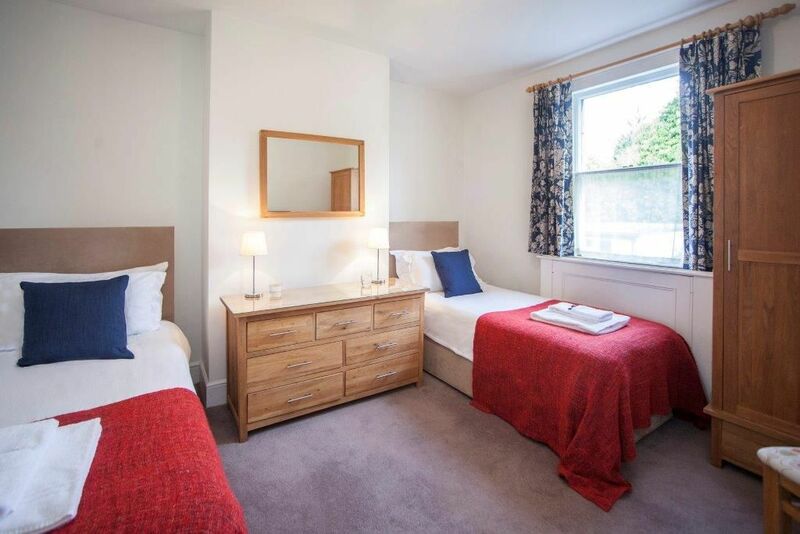 Marmaduke House is in an ideal location with everything at your finger tips, it was clean, warm, comfortable and very well equipped, with all the bathrooms being an added bonus. We parked the cars on arrival and that’s where they stayed until our departure. Everything was within walking distance (this is great for anyone but particularly for us OAP’s), and the Vintage Fare (every 2nd week) was ideal for a Sunday morning stroll and we loved that just at the back of the house and through a little walkway is Royal Victoria Park and Royal Crescent. 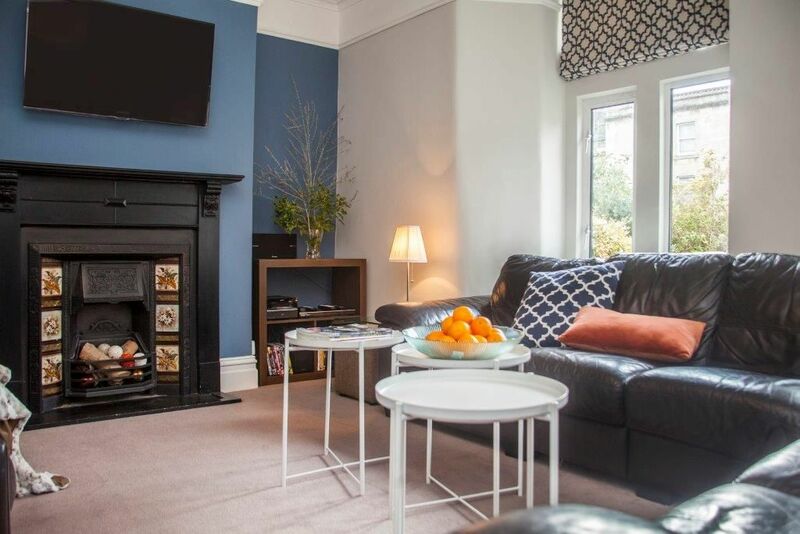 Everyone had a fantastic and memorable weekend and we would certainly recommend Bath as a City, Bath Holiday Rentals as a Company, they were professional, helpful, efficient and friendly and if all their properties are as good as Marmaduke House you certainly won’t be disappointed! 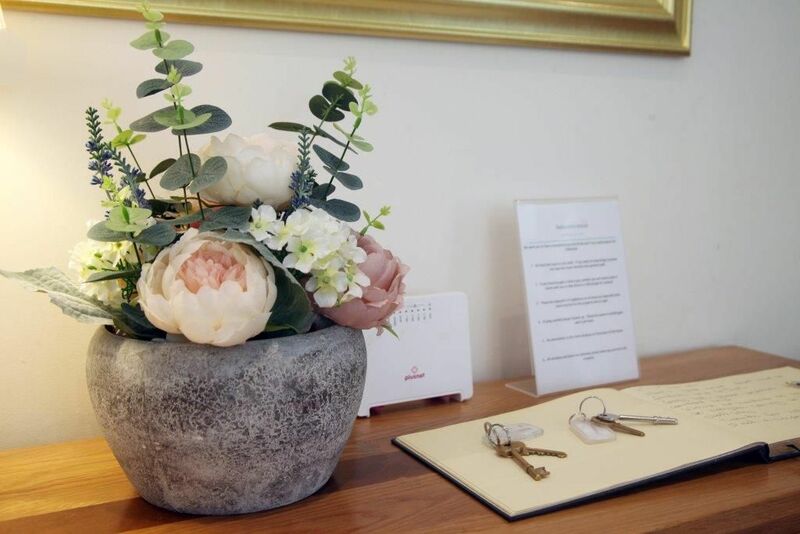 Just wanted to drop a note to say what a great weekend we had at Marmaduke House and it was an ideal location like you said with everywhere so easily accessible. We were even luckily enough to have great weather. Ray was very helpful and the whole party thoroughly enjoyed themselves and we would be very happy to recommend it to anyone in the future. 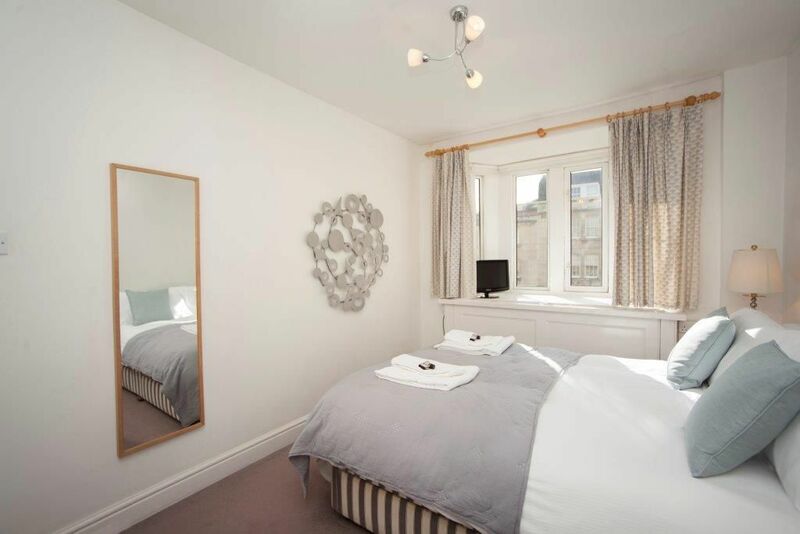 We recently stayed in Marmaduke House in Bath which is perfectly positioned for shopping, sight seeing and eating out. The house was perfect for the 8 of us, with everything we needed. The living room allowed a comfortable seat for all of us and all bedrooms were equal. We had a fabulous time in Marmaduke House. It was the perfect location with just a short walk into town and was equipped with everything you could possibly need to make our girlie birthday trip a really special one. Special thanks to Olivia for all her helpful advice and for meeting us early to check in so we could enjoy our day at the spa. We all said we would love to do it again and will definitely book with Bath Holiday Rentals. Thank you for our lovely stay in marmaduke house. It was lovely and easily housed 10 of us for the weekend. Great location and the car parking spaces were a bonus. Definitely would recommend and stay again. One often arrives at a rental property to find the property has been hyped up. Marmaduke exceeded all my expectations. We were greeted by a charming representative who explained the property to us, accommodated some extra requirements we asked for and recommended some excellent restaurants. There was a lovely welcome pack and the kitchen was stocked with all the essential items including fresh milk. All the bedrooms were comfortable and equally nice, the reception rooms were spacious and comfortable. The location could not have been better we walked to the centre of Bath within minutes. We would certainly give this property 10 out of 10. We had an absolutely fantastic time in Bath for my hen weekend. 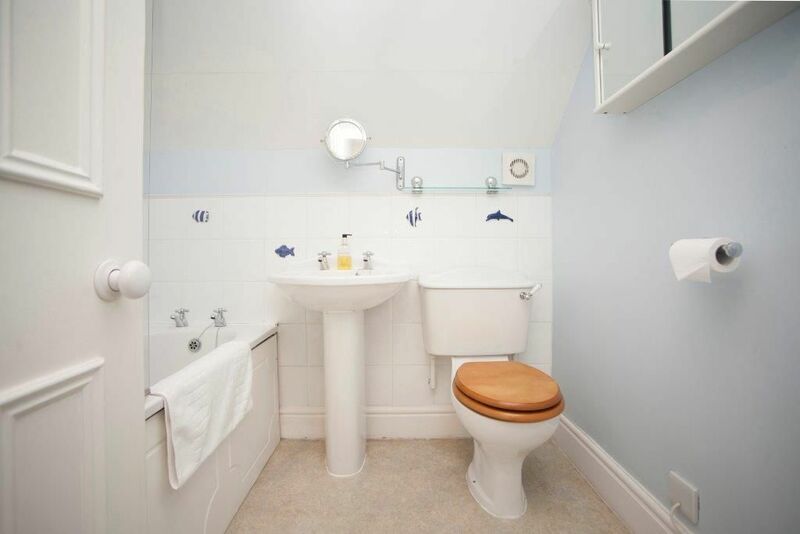 The house has an amazing location and it is great that each bedroom has its own bathroom. The lounge is great for chilling out with lots of comfy sofas. Thanks for helping to make the organisation of this event run smoothly. We stayed in Marmaduke House with our family for Christmas week, to celebrate our Golden Wedding on Boxing Day.We spent a wonderful week- the house was all that we hoped for, very well equipped, warm, comfortable, clean, perfect situation. We parked our car on arrival and no need to move it for a week as we were able to walk to all the places we wanted to visit. The highlights were Midnight Mass in the Abbey, ice skating at the winter ice rink, Bath v Exeter Rugby-Bath won 34-14, and an excellent celebration meal at AIO restaurant!! Marmaduke House was the perfect place for us- a week we will always remember! On behalf of our group I would like to express our appreciation for the wonderful presentation of Marmaduke House. was also a bonus. Alexia and Olivia were in contact with us at the press of an e-mail button or mobile phone. The weather was perfect and we thoroughly enjoyed our stay in Bath and the surrounding areas. Cheddar Gorge, Wells and of course the sights of Bath were bathed in sunshine all day long. The restaurants are many and varied and Alexa's recommended list helped us to choose restaurants which appealed to us. Once again many thanks for making our late summer break so memorable. Family reunion of ten people. Perfect location, spotless house, beautifully decorated with all necessities supplied, down to dishwasher tablets and washing powder. Highly recommended. Bath wonderful place to visit with plenty to see and do. A group of 10 of us stayed in this lovely house, family reunion, from Ireland, UK, Australia and South Africa. We had 5 rooms each with bath/shower facilities, like staying in a hotel but better. 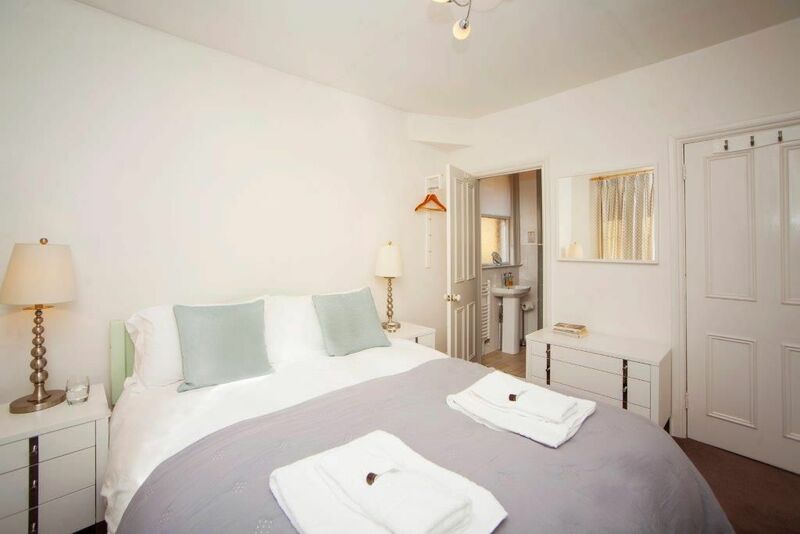 Towels supplied, soap, the kitchen was well equipped, beds extremely comfortable, spotlessly clean, homely and welcoming atmosphere. The house is situated right near the centre, near the tour bus, (goes right past the house), well worth going on, shops are close by, walking distance. I can't believe I had never been to Bath before, what a wonderful city, so much to see and do and steeped in history. A truly wonderful 3 day stay. Thank you! And Marmaduke House was perfect for us! We love Bath and the location of the home, so near the city center, made our day and night outings so enjoyable! There were 9 of us, including 3 children, and the amenities of the home were the best! Thank you so much for the memories! Just to say that we really enjoyed our stay in Bath and that Marmaduke House was ideal for us. The house itself was clean and well equipped. The location was excellent with only a short walk in to town and Royal Victoria Park just out the back. Plenty to do and a good choice of places to eat only a short walk away. We would also like to say that the Bath Holiday Rentals team were very helpful on our arrival and gave good advice on where to go for a drink in the sunshine and a place to eat that was good for kids. Look forward to a return for another family get together in the future. The house lived up to its description - it was well appointed, clean and tidy. The arrival arrangements worked really well. The welcome pack was just right. The accommodation and particularly the en suite bathrooms was great - beds very comfortable. The location was also perfect - easy walking distance to the city and amenities - that large Sainsbury's so near was a real bonus! The car parking was also really helpful. Being able to arrange to check in a little earlier and check out later was also very helpful - many thanks. Thank you very much - a great stay - and I would certainly recommend Bath Holidays! Thank your for providing us with such a fabulous property for our 40th birthday girls weekend away. 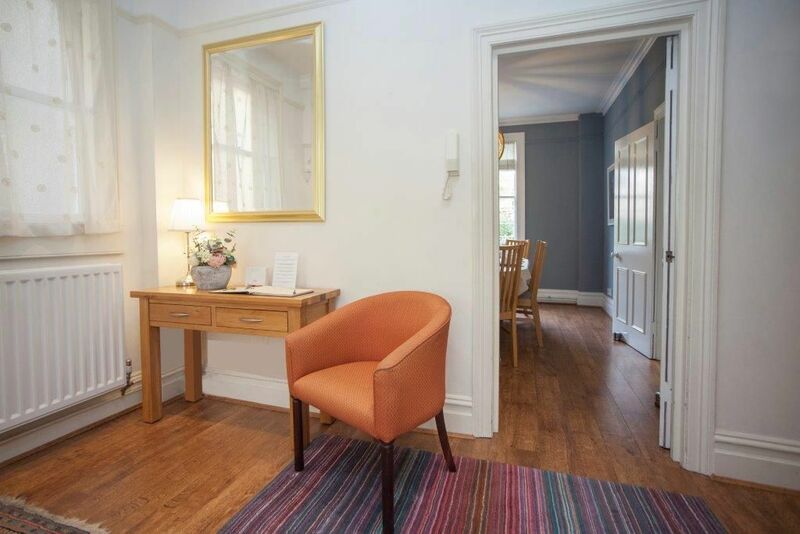 Marmaduke house is a lovely property - so comfortable, well equipped, conveniently located and all we could ask for. Thank you for the welcoming provisions - a lovely and much appreciated touch. We're already planning to book again for next year! We had a wonderful weekend in Bath staying in Marmaduke House. It far exceeded our expectations. We were all amazed by how well appointed it was. Even though it is a large property it felt comfortable, warm and homely. The welcome pack was a lovely surprise. I think all agreed that it was like staying in a 5 star hotel without the restrictions. Thank you. 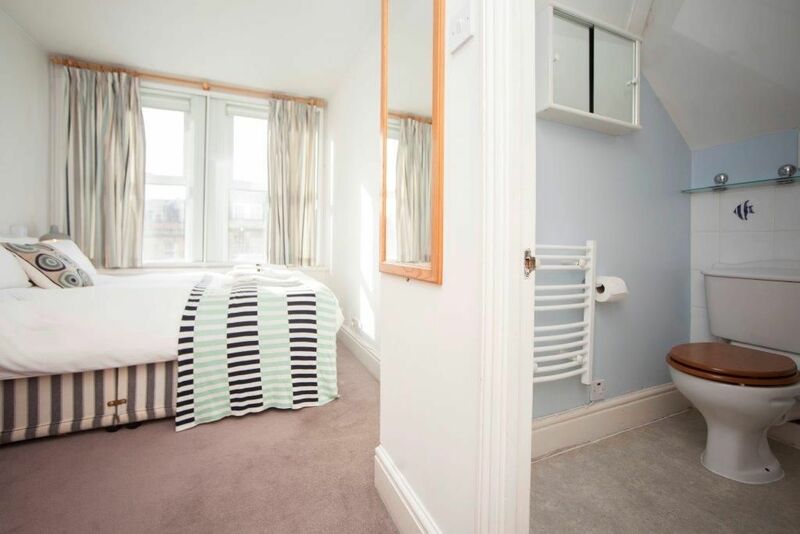 ideally located for all Bath's attractions, house plenty big enough for two families and very well equipped, friendly welcome and 3 car parking spaces invaluable. None of us wanted to leave! Another fantastic weekend In lovely Marmaduke House, perfect for our annual January 'Birthday' weekend with more than enough space for the nine of us. It has everything you need to make it a perfect weekend. We had a fantastic weekend, always love Marmaduke and this year the weather was much kinder to us ! Thank Olivia for letting us in early, a real bonus as it gave us the whole afternoon to mooch round Bath and thank you again for your help in organising our annual January weekend. 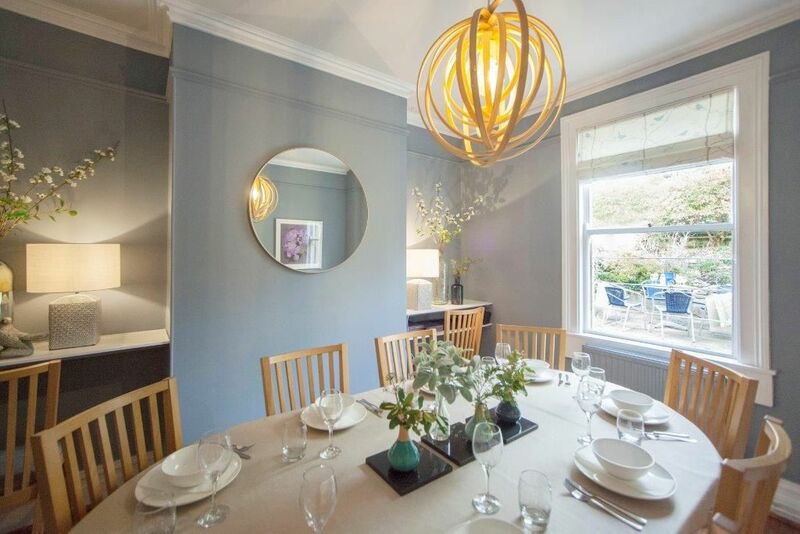 We found Marmaduke House to be ideal for a family get-together, comfortable and well-equipped. 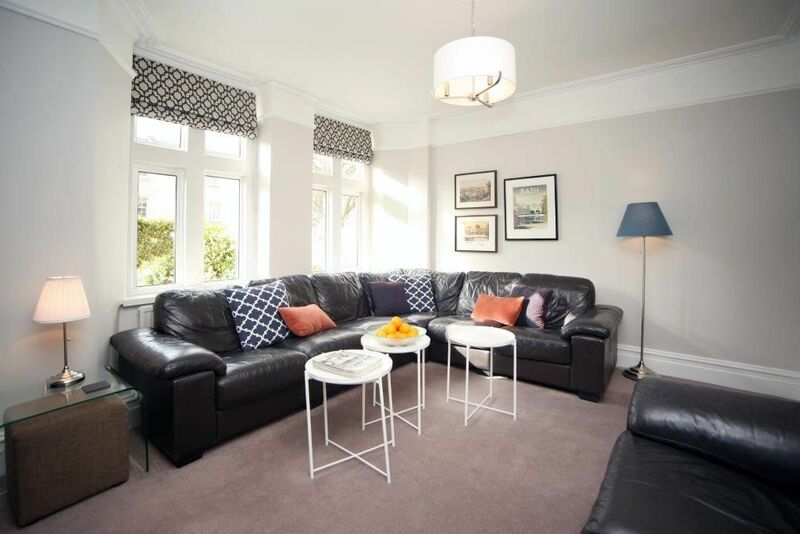 The position is very convenient, a short walk from the centre of Bath, and close to park and excellent childrens' playground. We had a lovely time, despite very mixed weather! We really had a lovely time in Marmaduke House. It's fantastic, spacious and it fulfilled all our holiday needs. 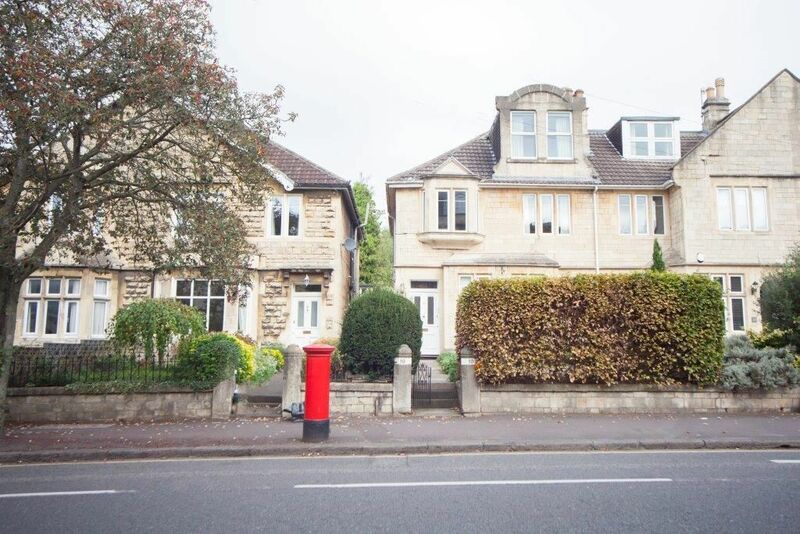 The location of the property was ideal for walking to the centre of Bath and to the local Park (the kids loved it). 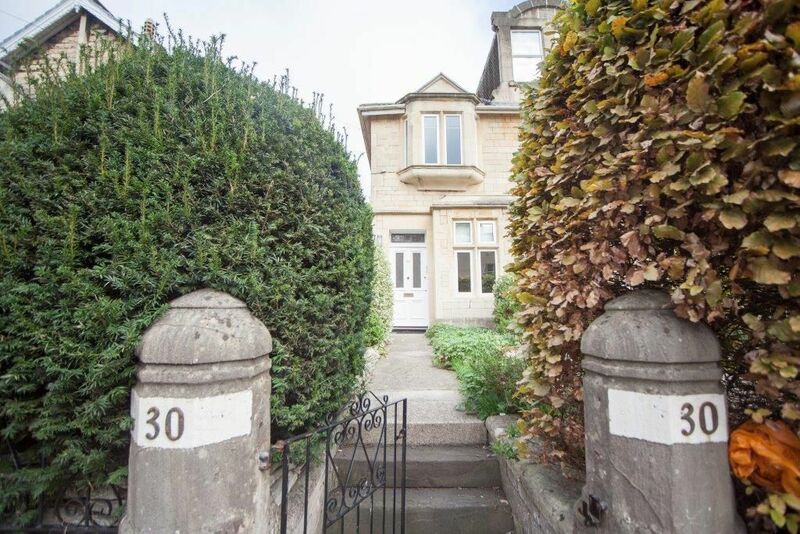 I would not hesitate to recommend this house to anyone who would like to visit Bath in the future. Marmaduke House was ideal for our family gathering. So convenient with everything to please three generations just down the road or up the hill. And Sainsbury's just round the corner too. Marmaduke house was a perfect venue for my daughter's pre-wedding party for her friends and family. From the lovely welcome pack to the very well appointed property with ensuites and beautiful furniture it was a total quality property. We were able to have a catered dinner at the house on the Saturday night which was perfect and very special. The atmosphere of the house was friendly and elegant. Perfect venue and perfect weekend we will not forget. This is a fantastic property. Really central, can walk to any of the attractions. Accomodation was great for us.Plenty of room, really comfy. One small grouse - all the pillows were feather and 2 of us suffered allergy problems so had to buy others.Had a brilliant holliday. I booked Marmaduke House for a hen party for 10 people. I was worried that the house wouldn't be big enough, but I couldn't be more wrong! Everyone was blown away by the cleanliness and tasteful decoration of this large and spacious home. There was plenty of cutlery and the welcome pack with milk and bread etc, was a god send as we were all hungry and thirsty when we arrived. 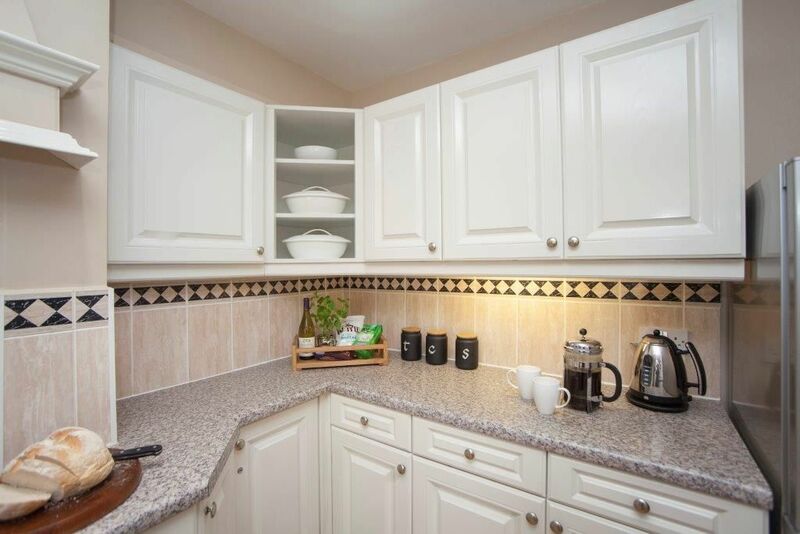 The house is in perfect proximity to the town centre and sainsbury's is only a short walk away for supplies. I really couldn't fault the house whatsoever and the staff at bath holiday rentals were all friendly and helpful. I would definitely recommend Marmaduke house for any large groups visiting Bath - a few of the hens are even thinking of planning a return for a week at some point. Thank you so much for making our weekend such a success. We stayed at Marmaduke House for 4 nights in the midst of the worst weather Somerset had endured this winter but what a weekend we had ! We were due to arrive on the Friday the 18th January but the forecast was heavy snow and the team at Bath Holiday Rentals were fantastic, after a few hasty phone calls and texts to the rest of our party (9 altogether) we were able to bring our weekend forward a day and arrived safe and sound on Thursday. The house was everything and more we were hoping for. Comfortable (lovely beds), warm, well equipped and a brilliant location. We were able to park our cars and forget about them until Monday morning. With plenty to see and an abundance of restaurants within easy reach it was the ideal location. The Welcome Pack was a really nice touch, much appreciated. We are still talking about a return visit when the weather is warmer. Thank you so much for a wonderful stay at Marmaduke House - everything was exactly as described, a great place for a group to get together for a long weekend in Bath. Walking distance to the centre, car parking spaces are a god-send, lovely comfortable beds and clean bathrooms and kitchen. Highly recommended - thanks again!" Marmaduke House, not all that pre-possessing from the front, turned out to be the perfect spot in Bath. 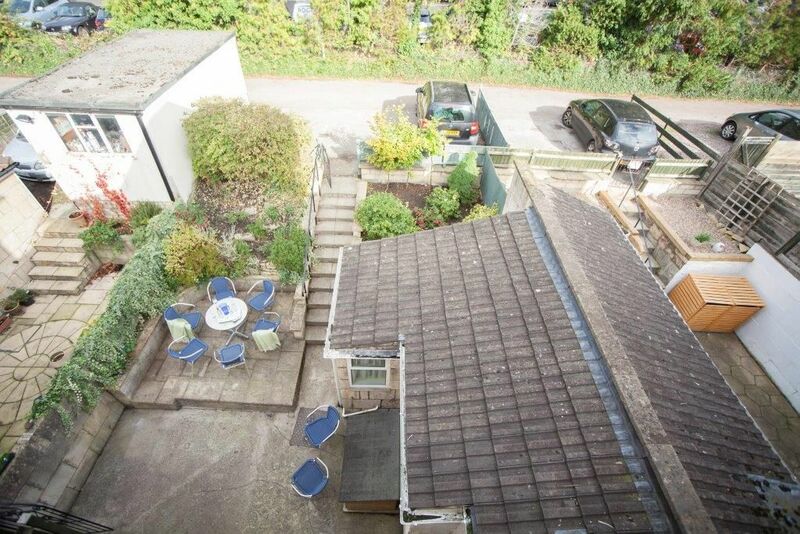 It backs onto a lane with excellent parking for three cars. Even better, the lane is at the bottom of the Royal Crescent park so it is a short walk through a magnificent park to the Royal Crescent itself (and the nearby Assembly Rooms and lovely shops and restaurants at the 'top' of the city). Apart from the beauty, there is great convenience. Sainsbury's is minutes away, as is the centre of town. Lucky for us, on this occasion, there is an excellent NHS drop-in centre across the road. I do recommend this house for a largish group. It is very well-equipped and efficient. I just wanted to say how much we enjoyed last weekend in Bath. 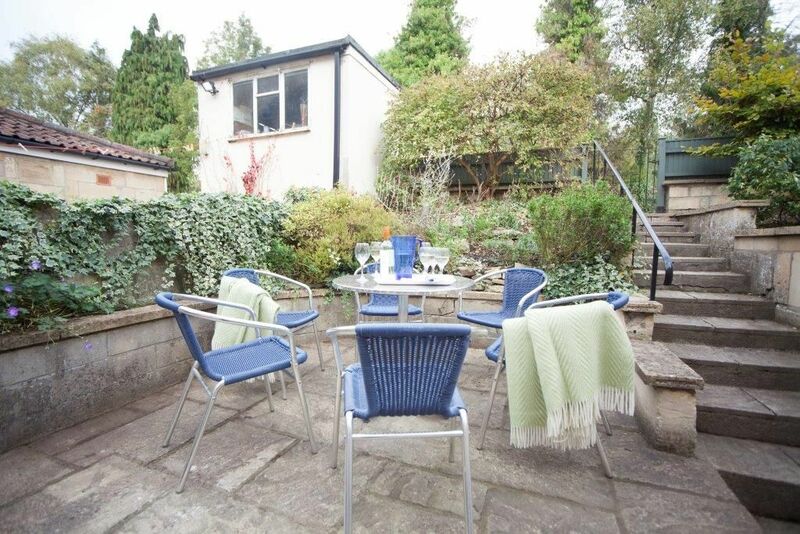 The house was lovely and we really appreciated the convenience of being such a short walk from the town centre. We had a fabulous break. Marmaduke House provided everything we could have wished for. Girls already planning a return visit. we had a really good time in Bath, it is a wonderful city. And the Marmaduke was a great house. We had a fantastic time in Bath and the house was just amazing. Everyone loved it, it's location and flexibility-I will be recommending your property/services. This immaculate house was perfect for 10 ladies, it was so spacious that we didn't feel at all cramped. Even though we only used the kitchen for breakfast it was so well equipped, you could have catered for any cooking occasion. The welcome pack was much appreciated. The huge table in the dining room meant we could all enjoy our breakfast together. The beautiful bedrooms were superbly furnished and with each having its own bathroom, plus an extra toilet downstairs meant no queuing. The living room was wonderfully relaxing and very comfortable, perfect for a large group. We couldn't have asked for a better location, everything in the city centre was within walking distance, including a big Sainsburys. Last but not least, I have to thank Alexa for her patience and helpfulness dealing with my endless queries. I would highly recommend this house to anyone looking for spacious accommodation for a large group, and I would definitely re-book again. Thanks for your email, we had a lovely time in the house, it was perfect for what we needed. Will definitely use one of your properties again. Amazing house, beutifully decorated, very comfortable, and with everything that you think you will need. Very close to the center. Much better than any hotel. Highly recommended.